The strawberry (Fragaria × ananassa) is a hybrid species of the genus Fragaria. The fruit is well known for its aroma, red color, and sweetness. The strawberry (Fragaria × ananassa) is a hybrid species of the genus Fragaria. The fruit is well known for its aroma, red color, and sweetness. This accessory fruit (not berry) is eaten either fresh or in prepared foods, such as preserves, fruit juice, pies, ice creams, milkshakes, and chocolates. Here are 7 health benefits of strawberries. 1. Strawberries will improve digestive health. Strawberries contain a substantial amount of dietary fiber, which prevents constipation, making one’s bowel movement easier to manage. The daily recommended dietary fiber intake for men and women are 38 grams and 25 grams, respectively. 2. Strawberries can help maintain a healthy blood pressure. Strawberries have a phenomenal potassium to sodium ratio. One cup of strawberries contains 220 milligrams of potassium, compared to 1.4 milligrams of sodium. This helps the blood vessels relax and maintains proper blood pressure. 3. 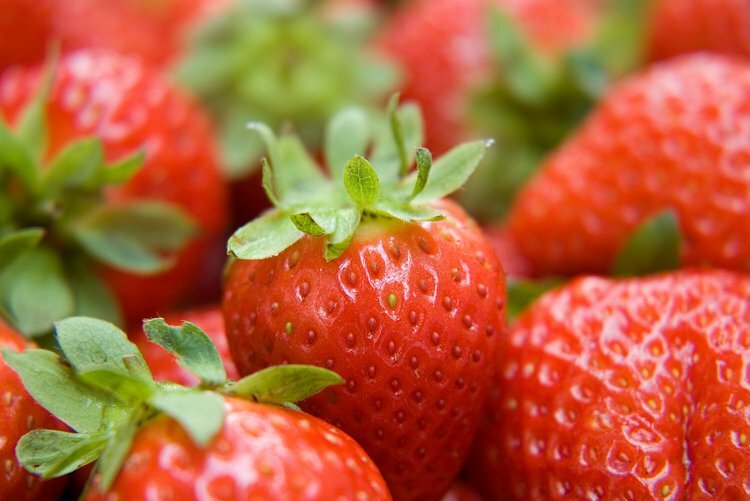 Strawberries can help individuals fight infections. One cup of strawberries contains 141 percent of the vitamin C daily requirements. Vitamin C is a powerful natural water-soluble antioxidant that helps the body develop resistance against infectious agents and eliminates cancer-causing free radicals in the body. 4. Strawberries are excellent for improving hair and skin look. Adequate vitamin C intake does not only improve the immune system, can also create and maintain collagen, an essential protein found in hair and skin. 5. Strawberries may help improve brain functioning. Several components of strawberries like potassium, folate, and various antioxidants are known to provide neurological benefits. Folate has been known to reduce the occurrence of Alzheimer’s disease and cognitive decline. Potassium has been linked to increased blood flow to the brain and heightened cognition, concentration, and neural activity. 6. Strawberries can assist in antioxidant defense. One cup of strawberries contains 28 percent of the mineral manganese, which is an essential cofactor in some enzymes important in antioxidant defenses. 7. Strawberries can help increase bone strength and durability. Strawberries are a good source of vitamin K, which functions in retaining calcium in the bone matrix. Sufficient vitamin K consumption may also reduce urinary excretion of calcium. Chen, W. T., Brace, R. A., Scott, J. B., Anderson, D. K., & Haddy, F. J. (1972). The mechanism of the vasodilator action of potassium. Proceedings of the Society for Experimental Biology and Medicine, 140(3), 820-824. Dukas, L., Willett, W. C., & Giovannucci, E. L. (2003). Association between physical activity, fiber intake, and other lifestyle variables and constipation in a study of women. The American journal of gastroenterology, 98(8), 1790-1796.